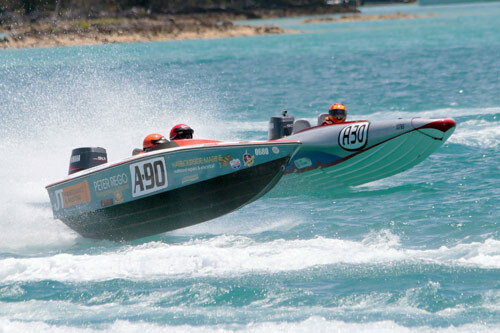 Action from the powerboat race in St George's Harbour. *all photos by Glenn Tucker. 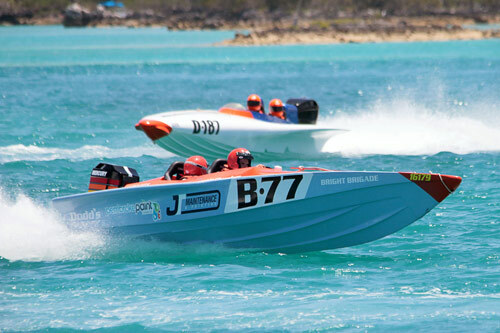 The Bermuda Powerboat Association hosted a stunning day’s racing in St George’s harbour on Sunday. 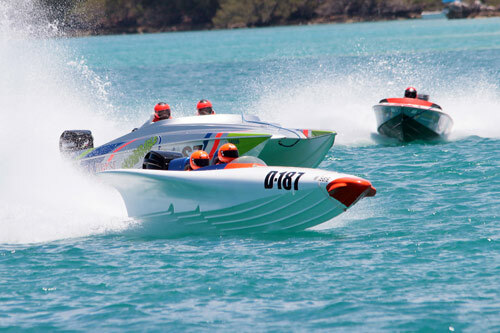 The first race, the National Race, saw Gregory Focke in A98 take first in the ‘A’ Class, while Mark Selley and Fletcher won the ‘B’ Class in B8. 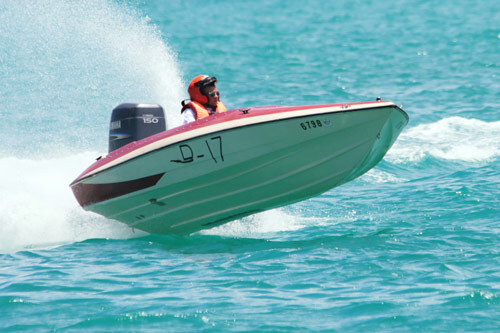 Lone class entries saw D187 win the ‘D’ Class, raced by Steven Eversley and Brandon Franks, and Shaki Easton and Derek Seymour won the ‘S’ Class in S7. The second race of the afternoon, the Season Race, again saw Gregory Focke win the ‘A’ Class, while Ryan Davidge and Andrew Osborne secured ‘B’ Class success. Eversley and Franks won the ‘D’ Class. 1 A98 Gregory Focke; 2 A90 Cleveland Maybury / Quashone Woods; 3 A30 Chris Warboys. 1 B8 Mark Selley / Fletcher; 2 B16 Ryan Davidge / Andrew Osborne; 3 B77 Jody Carreiro / Jermaine Simons; 4 Ryan Resendes. 1 S7 Shaki Easton / Derek Seymour. 1 B16 Ryan Davidge / Andrew Osborne; 2 Mark Selley / Fletcher; 3 B77 Jody Carreiro / Jermaine Simons.